Stanley Meyer (Stanley Allen Meyer) was born August 24, 1940, and was one of two twin boys. His twin brother is Stephen Meyer. Meyer was born and lived on Columbus' East Side before moving to Grandview Heights, where he finished high school. He briefly attended Ohio State University and joined the military. "We were always building something," Stephen Meyer recalled of their youth. "We went out and created our toys." At 6 feet 3 and with a booming voice, Stanley Meyer was charismatic and persuasive, equally conversant with physicists and bricklayers. He was also eccentric. His favorite phrase was "Praise the Lord and pass the ammunition," friends said. He once called Grove City police to his home and laboratory on Broadway to report a suspicious package. The Columbus bomb squad detonated the parcel, only to discover it was equipment that he had ordered. He was the author of various patents in oceanography, cardiac monitoring and banking systems of validation (42 in all including 10 in Canada). At the beginning of 1989, it appears Meyer may have received preferential treatment at the patent office: some of his patents were accepted in 1993. The majority of Meyers patents form part of section 101, where the agreement for the patent to be issued is dependent on a successful demonstration. The patents of Meyer were dispatched in only 8 months, which is a very short time. It proves to some degree that the patent office thought Meyers' technology was significant, given that approximately 200,000 patent applications were queued at that point in time. Meyer worked for the Battelle Foundation in Ohio. He also worked on the development of the Gemini project with NASA, and also worked on the feeding system for energy on "concept EBED" for the Star Wars project. With his brother Stephen Meyer, former engineer in electricity of USAF, Meyer assembled an operation worth several million dollars in the field of transport and spare parts. Stanley Meyer was very entrepreneurial and always financed his own scientific work. Meyer was recognized and rewarded by national and international organizations, and was elected inventor of the year in "Who's Who of America" in 1993. Meyer also received substantial support from Canada, England, and Sweden. His focus on water as fuel began in 1975, a year after the end of the Arab oil embargo, which had triggered high gas prices, gas-pump lines and anxiety. "It became imperative that we must try to bring in an alternative fuel source and do it very quickly," Meyer says in his documentary. This led to Meyer developing what he patented as the "water fuel cell". Meyer claimed that an automobile retrofitted with the device could use water as fuel instead of gasoline. The water fuel cell purportedly split water into its component elements, hydrogen and oxygen. The hydrogen was then burned to generate energy, a process that reconstituted the water molecules. According to Meyer, the device required less energy to perform electrolysis than the minimum energy requirement predicted or measured by conventional science. Eye-witness accounts suggest that US inventor Stanley Meyer had developed an electric cell which split ordinary tap water into hydrogen and oxygen with far less energy than that required by a normal electrolytic cell. Meyer made a demonstration before Professor Michael Laughton, Dean of Engineering at Mary College, London, Admiral Sir Anthony Griffin, a former controller of the British Navy, and Dr Keith Hindley, a UK research chemist. They all agreed that Meyer's cell, developed at the inventor's home in Grove City Ohio, produced far more hydrogen/oxygen mixture than could have been expected by simple electrolysis. Stanley Meyer claimed that his invention could do what physicists say is impossible -- turn water into hydrogen fuel efficiently enough to drive his dune buggy cross-country on 20 gallons straight from the tap. Meyer had euphoric highs and humiliating defeats. He was kind and generous yet paranoid and suspicious. He would be hailed as a visionary and a genius. He also would be sued and declared a fraud. Meyer attracted believers, investors - and eventually, legal trouble. William E. Brooks from Anchorage, Alaska invested more than $300,000 in Meyer's technology. He hoped to find applications for his aviation business. Today, he and his wife, Lorraine, laugh about the ordeal, made easier because their money was returned in a 1994 settlement in Franklin County Common Pleas Court. Two years later, a Fayette County judge found "gross and egregious fraud" in Meyer's contract negotiation with two businessmen. Their money was returned. Roger L. Hurley, a retired Darke County judge, defended Meyer and still believes in him. "I would not represent someone who I would consider to be a shyster or a bum," said Hurley. "He was a nice guy." After more than 20 years of research and tinkering, Stanley Allen Meyer, his brother and two Belgian investors raised glasses in the Grove City Cracker Barrel on March 20, 1998. Stephen Meyer recalls the events of that evening. "Stanley took a sip of cranberry juice. Then he grabbed his neck, bolted out the door, dropped to his knees and vomited violently." "I ran outside and asked him, 'What's wrong?' " Stephen recalled. "He said, 'They poisoned me.' That was his dying declaration." Stanley Meyer's bizarre death at age 57 ended work that, if proved valid, could have ended reliance on fossil fuels. People who knew him say his work drew worldwide attention: mysterious visitors from overseas, government spying and lucrative buyout offers. 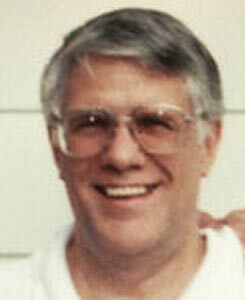 Meyers death (March 21, 1998) sparked a three-month investigation that consumed and fascinated Grove City police, but in the end, the coroner's report listed the cause of death as a brain aneurysm. "Meyer's death was laced with all sorts of stories of conspiracy, cloak-and-dagger stories," said Grove City Police Lt. Steve Robinette, lead detective on the case. If Stephen Meyer was shocked at his twin brother's collapse and death, he was equally amazed at the Belgians' response the next day. "I told them that Stan had died and they never said a word," he recalled, "absolutely nothing, no condolences, no questions. I never, ever had a trust of those two men ever again." Today, Stanley Meyer is featured on numerous Internet sites. A significant portion of the 1995 documentary "It Runs on Water", narrated by science-fiction writer Arthur C. Clarke and aired on the BBC, focuses on Meyers "water fuel cell" invention. James Robey wants a permanent place for Meyer in his Kentucky Water Fuel Museum. "He was ignored, called a fraud and died without his small hometown even remembering him with so much as a plaque," Robey wrote in his self-published book Water Car. It remains unclear how much of Meyers work was true science and how much was science fiction. Stanley Meyer took to his death, key elements of his work. As such, his work on the water fuel cell was not completed. Stephen Meyer is the only person who knows the intricate secrets of the water fuel cell invented by Stanley Meyer. After watching the trials and tribulations Stanley had been through, Stephen refuses to continue his brothers work. Read our review of the leading water as fuel systems.